Nonino, the leader brand within the production of grappa and distillates, it's famous for its production method that made Grappa Nonino the most globally renowned spirit brand. To convey online the sensations you actually feel when entering the distilleries based in Percoto. A real Nonino Experience: a journey that leads the users from digital to physical from the method, through the history until the products purchase. 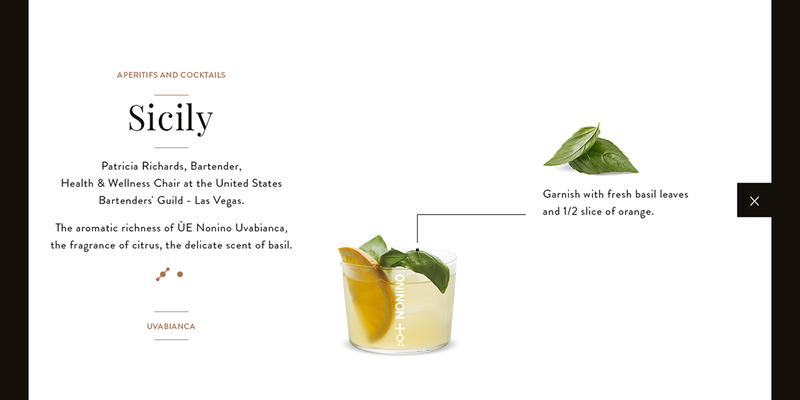 grappanonino.it welcomes the users with a full screen video of smoky stills and leads him through an immersive journey made of cinemagraphs and interactions that aim at telling the brand’s story and products set in their natural location. 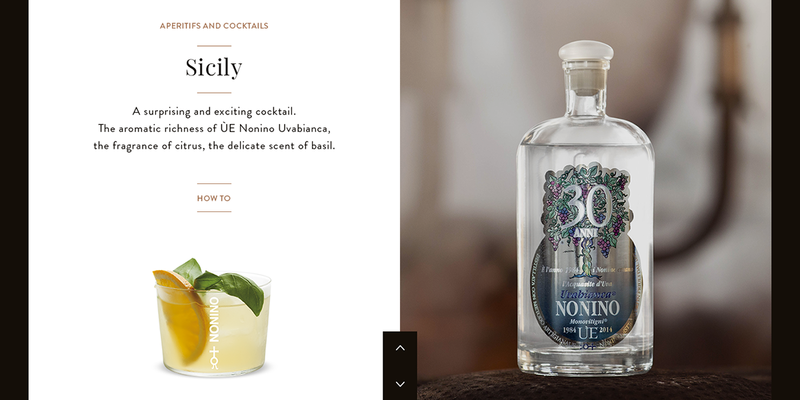 Each product detail is set up as a One-Page Site: it goes from the sensory description of the distillate, to the gastronomic match of the Nonino Method”: an interactive video that leads the users in every phase from production to purchase. The Nonino Guide to the Culture of Distillation to understand the indispensable production stages to obtain a Distillate of absolute quality. The Nonino Distilleries, unique in the world, consist of Five Artisanal Distilleries with copper batch steam stills, for the production of the inimitable Nonino Distillates, respecting the Tradition and the rhthms of Craftsmanship. heating for peasants in northern Italy. Fancier Italians, and most foreigners, disdained it. But that was before the Noninos of Percoto came to prominence. Interactive videos that lead the users through every production phase and cinemagraphs about the product details tickle the users’ senses. I should say at once that making money has never been our primary motivation, even in an age when profit appears to be the universal measure of success. Our overriding goal is constant improvement as we strive relentlessly after quality and innovate to make the best Grappa in the world, in full respect of the territory and its culture: a grappa so fragrant with the aromas of its grape that it seduces even the most discriminating consumers. Grappa Nonino was awarded Shortlist ADCI Award 2017. Nonino is one of the most famous Italian grappa producers. 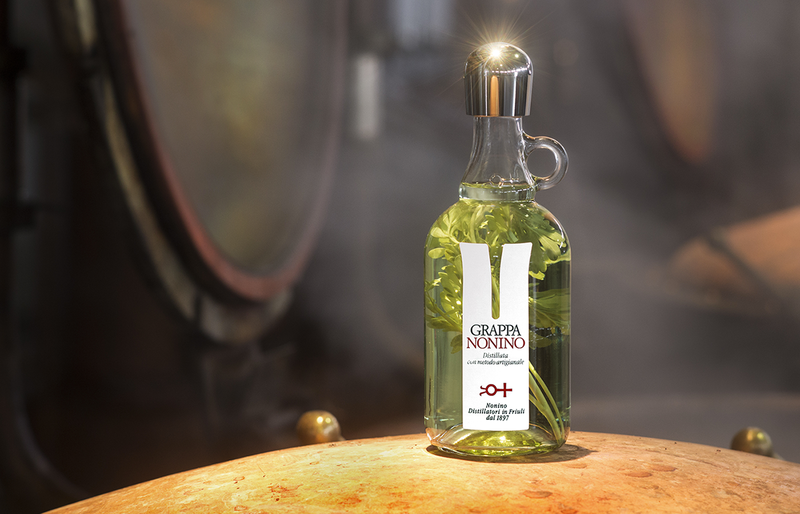 The Nonino's family, respecting the tradition, set a new standard for the grappa production, introducing it to the world.